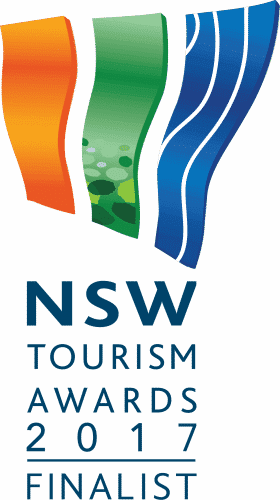 Situated on over 280 acres, Sierra is home to many Kangaroos, Deer, Native Birds and many other kinds of Australian Wildlife. After a day of wine tasting among Mudgee’s famous wineries, take a sunset walk up to the top of Sierra lookout and take in the stunning surrounding landscape. Welcome, to Sierra Escape. This is where it all began, consisting of a spacious 18m2 bedroom with a king bed, glass sliding doors to capture the magnificent views and large screened windows to allow those beautiful summer breezes in. The tent also contains a camp stove, camp fridge, power for charging laptops, ipads and phones, and a beautifully warm wood fireplace. Off the main bedroom is a spacious bathroom, equipped with a large freestanding bath, shower, and flushing toilet. 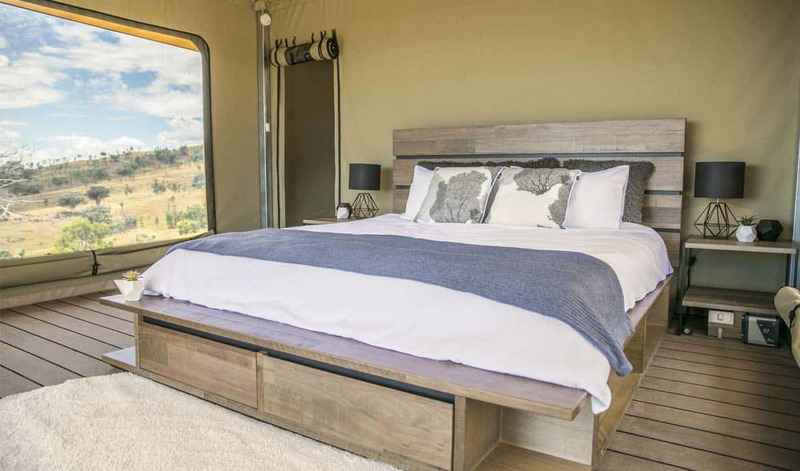 At the front of the tent is the perfect deck for sitting down with a glass of Mudgee wine, and watching the sun set over the hills. Dulili is perfect for couples or young families who want to escape from daily life to luxury and comfort. Positioned in it’s own secluded setting, with spectacular views, Dulili has an outdoor bathtub, it’s own designer kitchen, second bedroom, wood fireplace, large screened windows, glass sliding doors, large indoor and outdoor dining tables, fire-pit area and large bathroom with shower and flushing toilet. Awaiting for you on arrival is a complimentary bottle of local bubbles, local chocolate and breakfast pack. 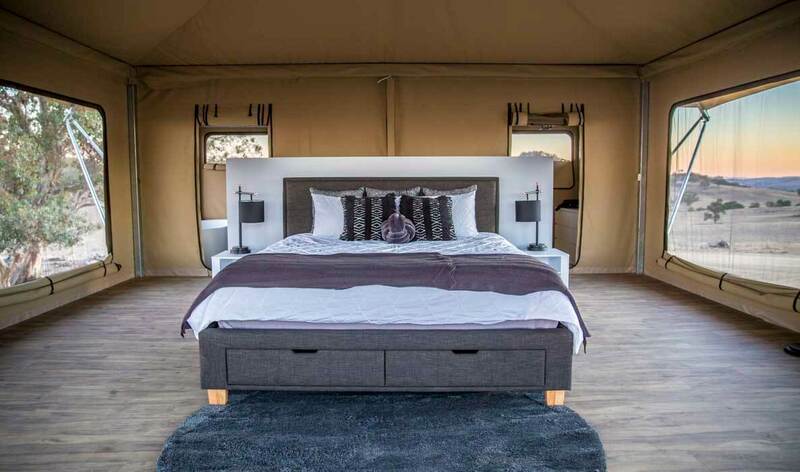 This is our exquisite, premium tent, built for those travelers who want that extra touch of luxury and comfort. Uralla is perched in a prime position on top of the hill in it’s own secluded area with incredible valley views. It features a designer kitchen, huge king bed, fireplace, shower, indoor and outdoor freestanding bathtubs, firepit. Awaiting for you on arrival is a complimentary bottle of local bubbles, local chocolate and breakfast pack. 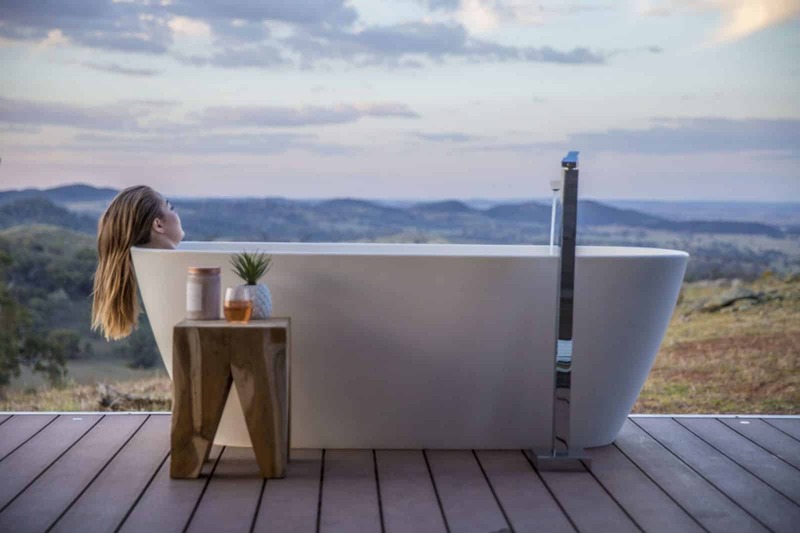 What better way to take in the sunsets, than with a glass of bubbles in hand as you soak in your own private outdoor bathtub on the front deck. We’re located a short 15-20 minute drive from the town of Mudgee in beautiful Piambong. 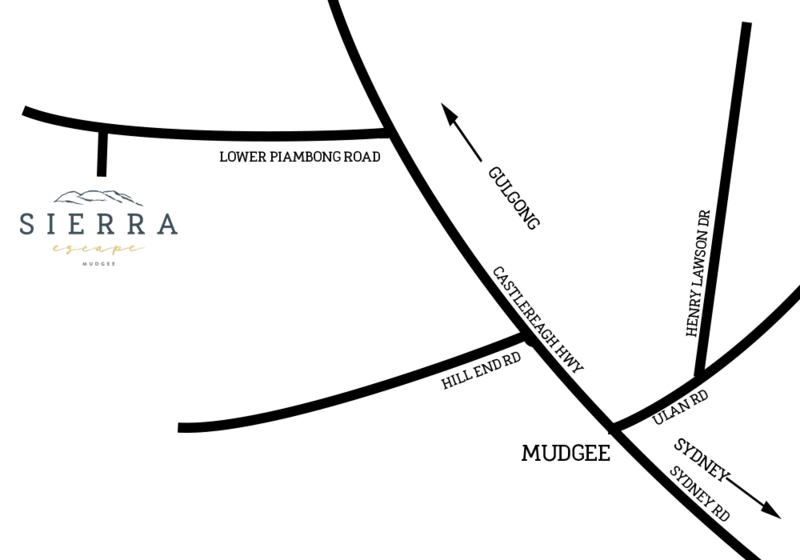 Explore some of the “Roads Less Travelled” on your adventure to Sierra Escape.